I love to drink smoothies and enjoy trying out new recipes! Whenever possible, I try to make everything my family and I consume with all natural ingredients. 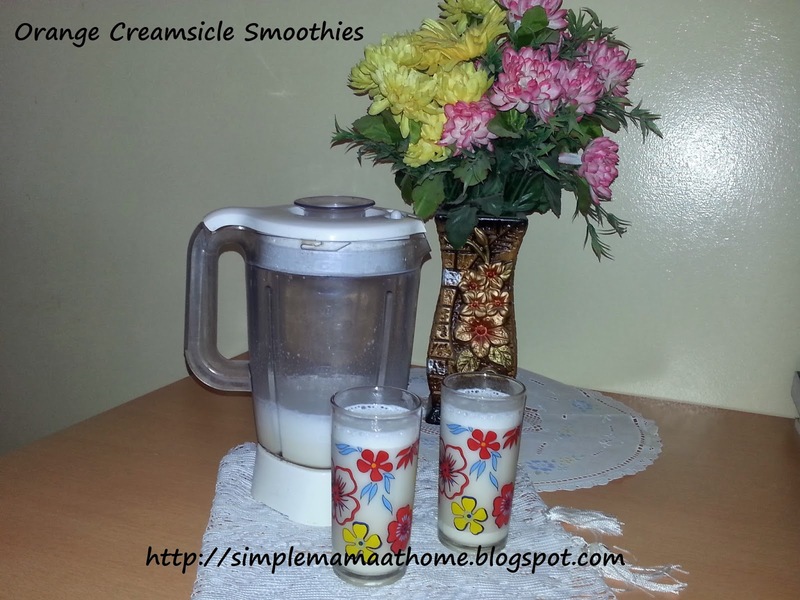 I recently found some recipes with many variations for making orange creamsicle smoothies. For anyone who does not know, a creamsicle is a frozen dessert made with vanilla ice cream and coated in fruit sherbet. They are a tasty treat bursting with flavor! While there are a variety of flavored fruit sherbet, orange is my favorite. Most of the recipes I found for this particular smoothie did not satisfy me. I prefer to use full fat dairy products instead of low fat or skimmed. I also prefer fresh squeezed oranges over the frozen concentrate. 1. Combine milk, yogurt, orange juice and vanilla in blender. 2. Blend 15 seconds to combine. 3. Add ice cubes and blend about 20 to 30 seconds to crush ice. My love creamcicles. I am certain they would enjoy these on our picnic table on a warm day. I love creamcicles in the summer! They are perfect for a sunny, hot day! I am going to make these for my 3-year-old to enjoy! This sounds so good! I love orange flavored anything! Mmm! that sounds super delicious and healthy! pinning this for breakfast tomorrow! There's nothing quite like a healthy hack to make healthy orange creamsicle shakes. If you're into protein drinks, you can get the same effect with vanilla protein powder, milk, and OJ. These sound so delicious! You had me at fresh orange juice. This sounds SUPER yummy! Thanks for sharing! I just pinned this and cannot wait to try it. Since I got my Ninja last summer I have become a smoothie addict. My kids would love these. They love smoothies! It has been forever since I've had a creamsicle. After reading this post I'm going to need to give this smoothie a try. TY for sharing! Those look really good and easy to do. I have to try it. Those look so good! I used to love the orange creamsicle type hard candies. Thanks for linking up over on Tuesday's Good Eatin' Recipe Hop! I love orange creamsicle. I'll have to give this one a try :) Thanks for the recipe! What a great recipe! 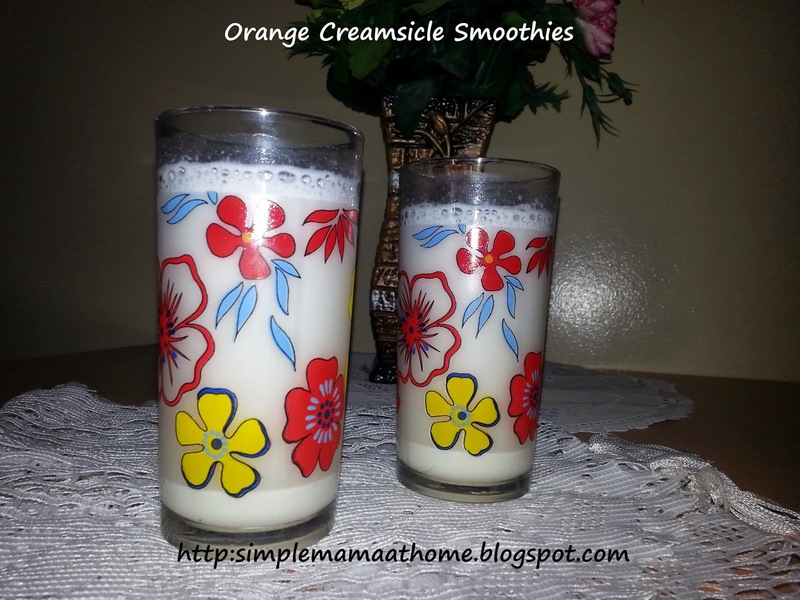 We love orange creamsicle so I know my family would really enjoy this smoothie! Oooh! These sound delicious and pretty easy to make. I will definitely have to try this soon! easy recipe and looks tasty too! My kids and my husband would love these. Will have to try them! Creamsicles were always one of my favorites when I was a kiddo. I'm going to have to try this! I had also expected this to look orange in color as well. When I took the first taste I was very amazed that it was just like the creamsicle flavor! These sound really good. Thanks for the recipe! Creamsicles are the quintessential dessert I've never met a person who doesn't love them and in a smoothie? Awesome! This sounds really good. I love a creamsicle in the summer. I think my kids and I will try these this afternoon!